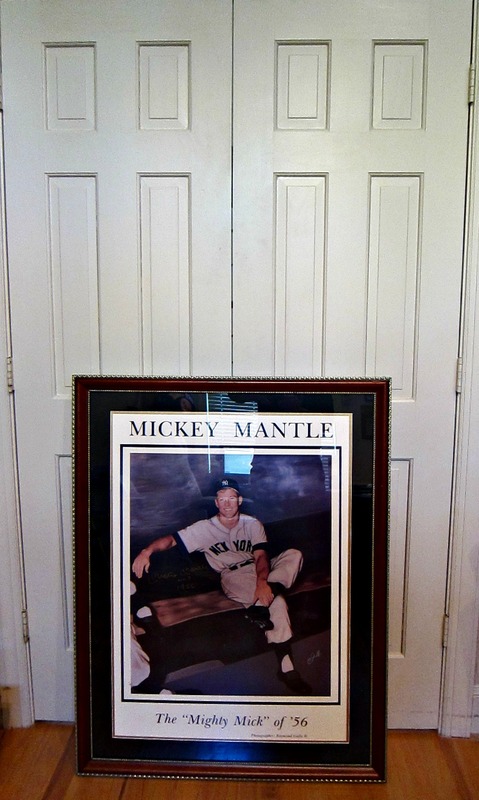 True Legendary Photograph print that has been Hand signed by Mickey Mantle and the photographer Ray Gallo. 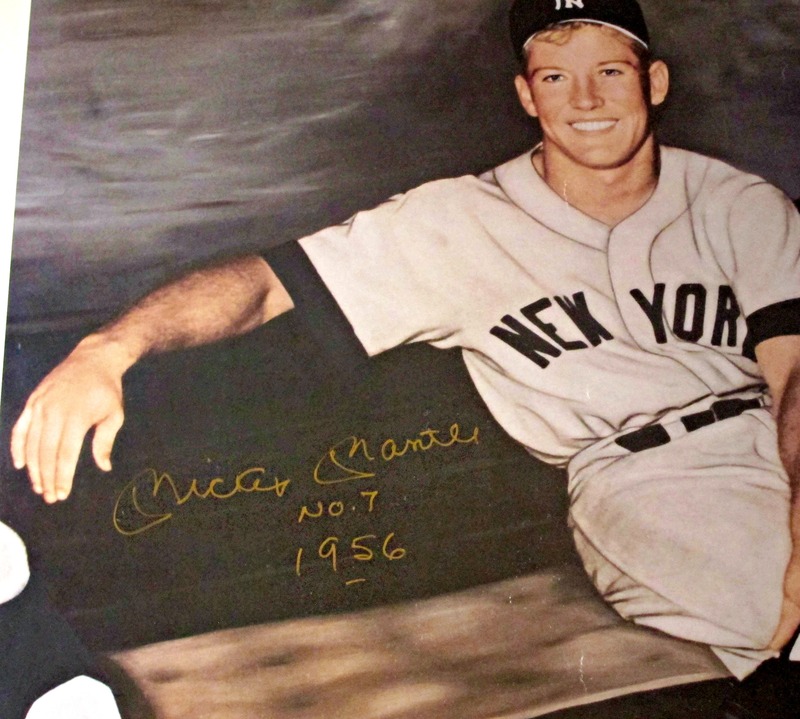 This famous photograph of Mickey Mantle was accepted by the Baseball Hall of Fame from many years’ worth of entries. The original is black and white and was taken by renowned photographer Ray Gallo; this is a beautifully colorized, matted and framed 36 X 26 print. 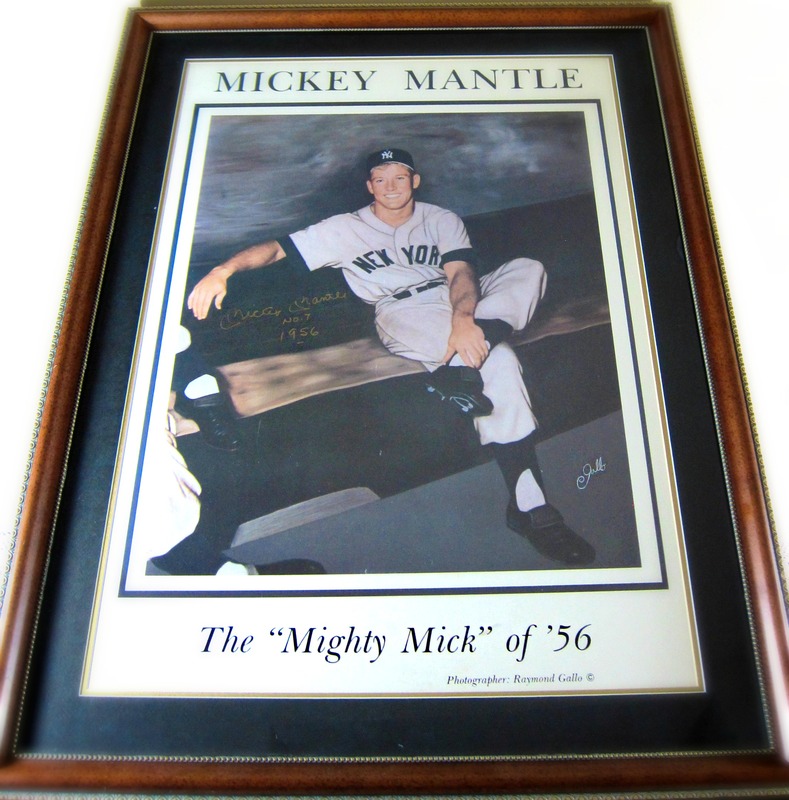 Autographed and inscribed by Mickey Mantle in gold. 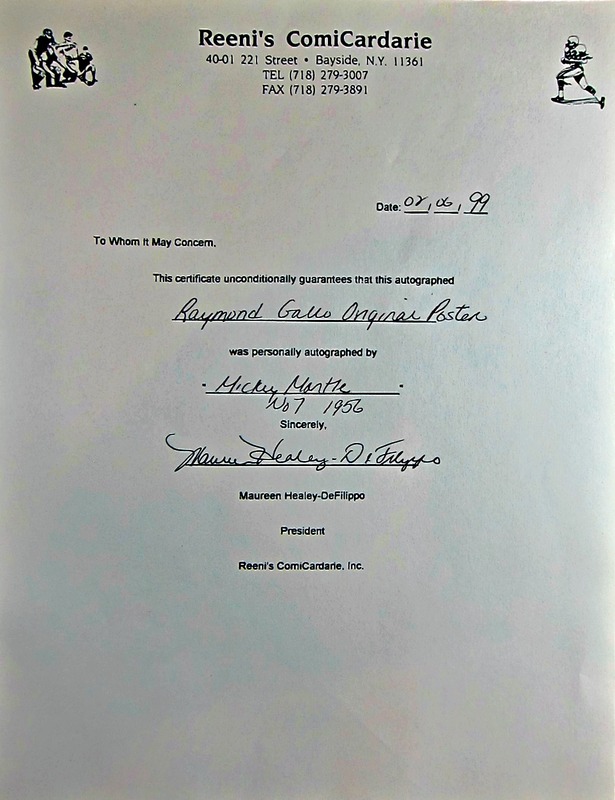 Also in the lower right-hand portion is the signature of Ray Gallo in silver. 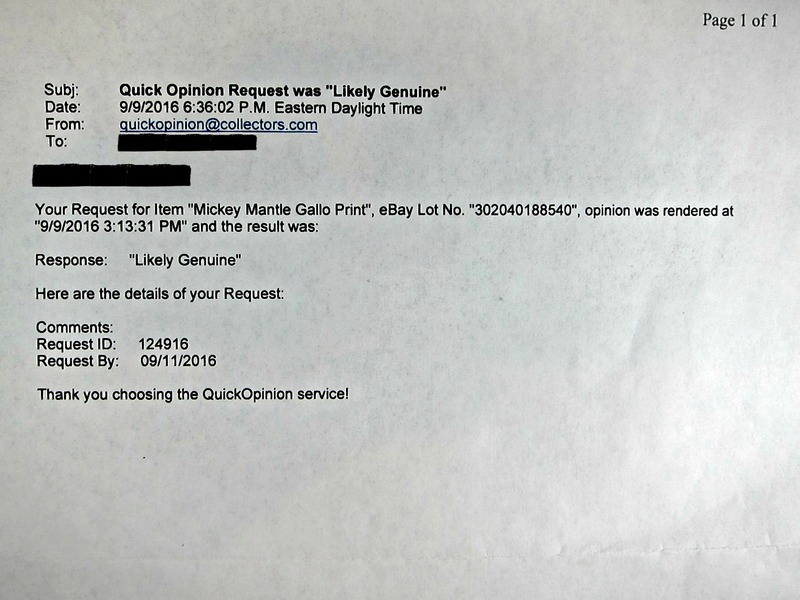 These do not come up for sale often so here’s your chance to own this fantastic hand signed piece of history that’s hanging in the Hall Of Fame.